I just finished reading a new book on the history of Area 51 – the super secret American military base located in Nevada. The book is titled “Area 51 – An Uncensored History of America’s Top Secret Military Base” by Annie Jacobsen. Ms. Jacobsen manages to uncover never before released facts about the little understood secret goings on at Area 51. There are enough secret projects talked about in the book to do five or six lists. It’s amazing what scientists, engineers, the military and intelligence agencies will do when they have unlimited budgets, little to no accountability and everything they do is kept top secret. And remember, these are the projects we know of (or think we know of). 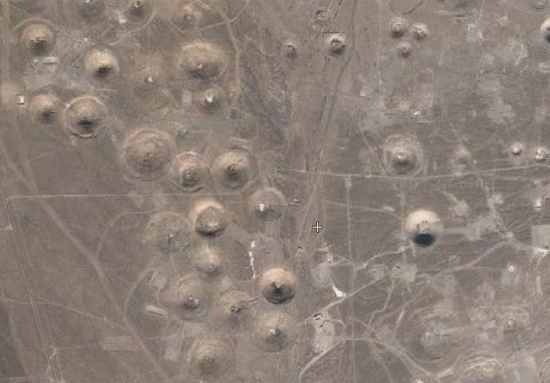 Imagine what goes on at Area 51 that we do not know, and probably never will know. Project Nutmeg has historical significance because it was the top-secret project that gave birth to the Nevada Test and Training Range. Prior to testing atomic devices on US soil, nuclear bombs were tested in the Pacific Ocean at what was called the Pacific Proving Grounds. While this afforded the US a remote (and huge) area to test secret atomic devices, the cost involved in sending men, materials and equipment half way around the world, was staggering. 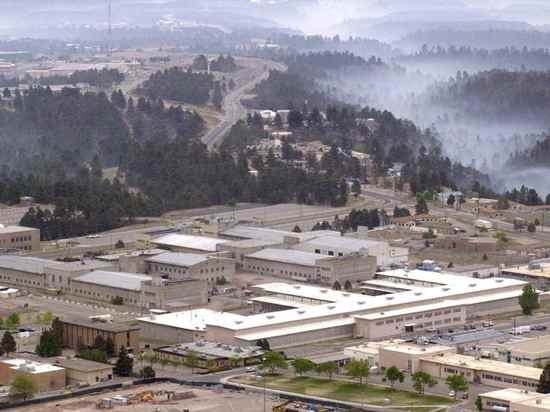 America felt it had to find someplace secure, yet within its borders that was reasonably close to where most atomic scientists were working at that time (such as Los Alamos, New Mexico). Project Nutmeg was authorized by the President to locate such an area. An ideal location was a region of desolate desert that had been a wildlife reservation. This area also had the benefit of already having a landing strip nearby, left over from military training exercises during WWII. 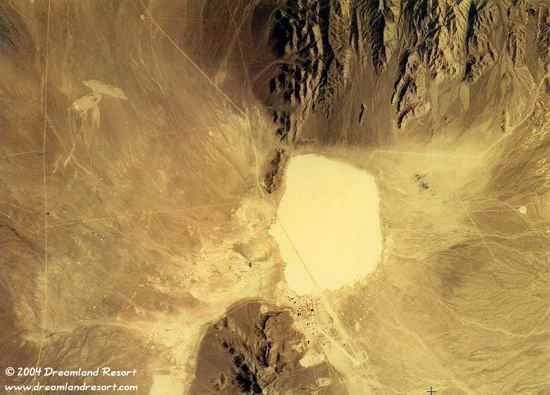 The selected site in Nevada became 687 square miles of government-controlled land, and what we know today as the Nevada Test Site (of which Area 51 is the most well know, and most secret, parcel of land). 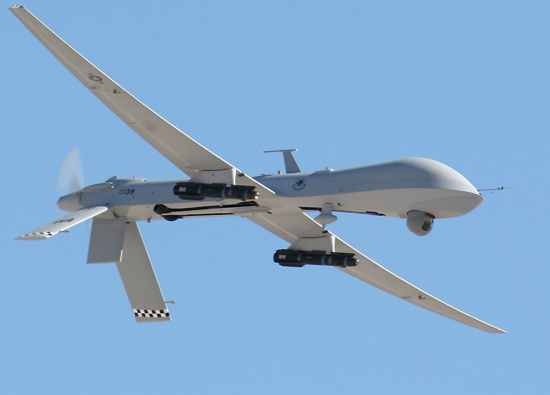 This project began sometime in the late 1960’s and involved some of the first remote controlled aircraft experiments that would later become the Predator drones that are operating in the Middle East, today. It was a six-foot remote controlled drone designed to look like an eagle or buzzard in flight. It carried a television camera in the nose, as well as sensors and electronic surveillance equipment. The project began as an attempt to investigate a mysterious watercraft the Soviet Union had constructed and was spotted testing (by satellite reconnaissance) on the Caspian Sea (that they later nicknamed the Caspian Monster). The project remains classified today, but a British documentary uncovered what is thought to have been the target for the Aquiline drone – a Soviet hydrofoil called Ekranopian. The Aquiline drone was designed to track in on its target following established communication lines in foreign countries, and be launched from a submarine. The Aquiline drone was built and tested (it crash landed often) but the CIA eventually canceled the program. Similar to the Aquiline project, this was another attempt by the CIA to mimic the animal kingdom in the development of remote controlled aircraft. Project Ornithopter involved a birdlike drone designed to blend in with nature by flapping its wings. Another even smaller drone was designed to look like a crow that would land on window ledges and photograph, through the window, what was going on inside the building. 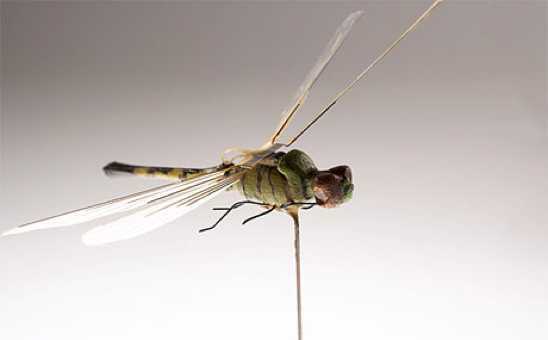 Project Insectothopter took the concept to an even smaller animal – a drone designed to look like a dragonfly. Insectothopter was a green drone that flapped wings powered by miniature gas engines. Not satisfied with mimicking mother nature – the CIA also used actual animals to do surveillance, including pigeons with “pigeon-cams” attached to their necks. Unfortunately, the birds were tired out by the extra weight of the cameras and returned to the CIA base on foot – too tired to fly (the project was abandoned). Maybe the strangest project of all was Project Acoustic Kitty, which placed acoustic listening devices on household cats. That project was abandoned when the cats strayed too far off target searching for food, and one was run over by a car. This was a “safety test” conducted at the Nevada Test Site to simulate what would happen if an airplane carrying an atomic bomb crashed and released radioactive material into the environment. In this way, Project 57 would become America’s first “dirty bomb” experiment. 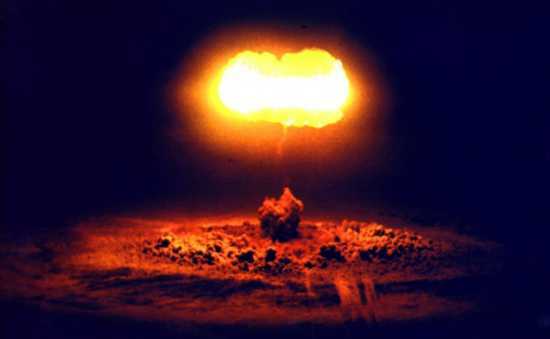 Scientists theorized that the detonation of the high explosives surrounding a nuclear warhead (but that did not initiate a full chain reaction) would release plutonium into the environment. But they did not know for certain, nor did they know how much plutonium would be released, how far the plutonium would travel, etc. The military and CIA felt the test was needed because more and more American nuclear warheads were being carried by more and more aircraft. Sooner or later (and it would come sooner than anyone thought), an airplane accident was bound to happen when the aircraft was carrying live nuclear weapons. 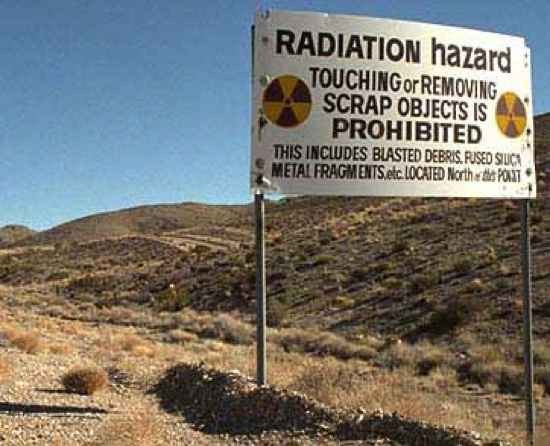 A part of the test site called Area 13 was selected and workers began to set up thousands of “sticky pans”, steel pans sprayed with a sticky resin that would capture and hold plutonium particles released into the air by the explosion of the bomb. Mock cities were set up to determine what would happen if the explosion occurred in an urban area. Fourteen hundred blocks of asphalt streets were laid, and cars parked at various locations on the asphalt. Nine burros, 109 beagles, 10 sheep and 31 rats were placed in cages to measure the physical impact of the plutonium release. At 6:27 AM on April 24, 1957, the nuclear warhead was fired in such a way as to mimic a plane crash. When the radioactive dust settled, 895 square acres had been contaminated. Plutonium is one of the most deadly substances known to man; one millionth of a gram of plutonium is lethal if it is inhaled. Plutonium remains deadly for 20,000 years. Scientists learned much about how plutonium acts by studying the effects on the test animals, but the actual data is still classified. They also found that the plutonium did not move far – it tended to settle on the top of the soil and stay there. After a year of study, Project 57 was shut down and the area never cleaned up. It was fenced off, the material (including the cars) were buried. That was it, or so the scientists thought, until the following year when another scientist authored a paper theorizing that earth worms passing through the contaminated area would move the plutonium with them, out of the restricted zone (as would birds which ate the worms and flew off with the radioactivity in them). Not a project really but a mission. On January 21, 1968, a fire started on board a B52G bomber during a secret mission over Greenland. Most of the crew bailed out and the aircraft smashed into the Greenland ice sheet. On impact, the high explosives in at least three of the atomic bombs on board exploded. This spread radioactive plutonium, tritium and uranium over a large area. The CIA and US military now had a real Project 57 on their hands. The fire melted the ice and at least one atomic bomb fell into North Star Bay and below the ice covered sea. Apparently the US tried to recover the bomb but was unsuccessful. Even though project 57 had provided lots of data about what happens when a nuclear warhead explodes and spreads radioactive contamination over a wide area, the military and CIA still did not have a permanent emergency response unit dedicated, equipped and trained to respond to these dirty bomb like disasters. 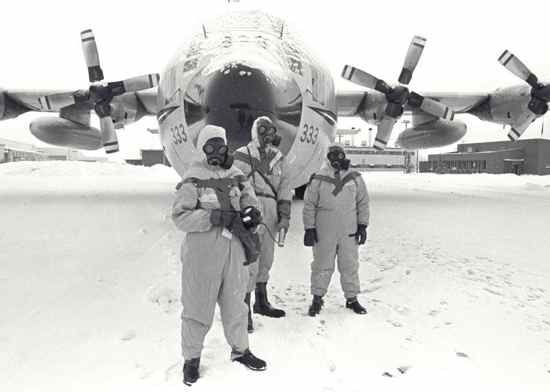 So an ad-hoc group of scientists and military people were put together and sent to Greenland for what would become the toughest dirty bomb clean up operation in history. With temperatures dropping to – 70 F and winds up to 100 mph, the conditions made it all but impossible for the men to clean up all of the radioactive contamination. Less than 50% of the radioactive material was recovered. The crew cleaned and froze for eight months and when they were done had cleaned up 10,500 tons of radioactive ice, snow and crash debris, which was flown to South Carolina for disposal. The crew would call themselves “Dr Freezelove”. This was another secret clean up of radioactive material but this time not American radioactive material – Russian. On September 18, 1977, the Soviet union launched Cosmos 954, a nuclear-powered spy satellite. The satellite was 46 feet long and weighed over 4 tons. Within months of its launch, the US knew the satellite was in trouble. In December of 1977, analysts determined Cosmos 954 was slipping out of orbit and unless the Soviet Union took action, it would plummet to Earth. They further determined that if the Soviets could not gain control of the satellite it would reenter the atmosphere and crash somewhere in North America. Pressed by the Carter Administration to divulge what exactly was on board the satellite, the Soviets admitted it carried 110 pounds of highly enriched uranium. At the direction of the CIA – the decision was made by the US government not to inform the public. The CIA knew a satellite carrying a live nuclear reactor was going to crash somewhere in North America, but believed that “a sensationalized leak would disturb the public in unforeseeable ways”. So the public was kept in the dark. Fortunately by 1978, the US had a trained team to respond to such emergencies – the Nuclear Emergency Search Team or NEST. The NEST team stood by, waiting to deploy the minute the satellite crashed (no one could predict exactly where it would land). Eventually, national security advisor Zbigniew Brzezinski did tell the public that America was experiencing “a space age difficulty”. When Cosmos 954 crashed it struck across a large swath of ice in the Canadian tundra, 1000 miles north of Montana near the Great Slave Lake. The NEST team vans carrying the specialists were dispatched by C130 transport to the crash scene. The vans were disguised as bakery vans. As part of Operation Morning Light – the NEST team members searched over a fifty by eight hundred mile corridor for radioactive debris. After several months, 90 percent of the debris from Cosmos 954 was recovered. After the crash, officials calculated that if Cosmos 954 had made one more orbit of the Earth before it crashed, it would have landed somewhere over the populated American East Coast. In the 1960’s, the US was on its way to the moon. Lesser known is the fact that, at area 25 (a sister top secret site to Area 51) of the Nevada Test Site, NASA and AEC scientists were working on something even more ambitious – a trip to Mars on a nuclear powered rocket. This was called project Nuclear Engine Rocket Vehicle Application or NERVA. Sixteen stories tall, the rocket ship, called Orion, would send 150 men to Mars in only 124 days. Orion would blast off from eight 250-foot-tall towers out of a cloud of radioactivity generated by a powerful nuclear reactor and engine aboard the ship. When running at full power the nuclear engine operated at 3,680 degrees Fahrenheit; it had to be cooled by liquid hydrogen gas. To test such a monster engine and reactor it had to be bolted down to the earth. When tested, the NERVA engine would shoot into the atmosphere a plume of hydrogen exhaust that had passed through a superheated uranium fission reactor. The Los Alamos scientists then decided they wanted to know what would happen if scientists lost control of one of these nuclear engines, and it exploded. Thus was born Kiwi – a test to deliberately blow up one of these reactor/engines. On January 12, 1965, a nuclear rocket engine, codenamed Kiwi, was allowed to overheat. At a temperature of 4,000 degrees Centigrade, the reactor burst – shooting radioactive fuel skyward, glowing every color of the rainbow. The explosion blew a 100-pound chunk of radioactive fuel a quarter mile away. The radioactive plume rose to 2,600 feet, and the wind eventually carried the radioactive cloud west, passing over Los Angeles and out to sea. Scientists were airborne with instruments measuring the amount of radiation that was released into the atmosphere, but as of today that data remains classified. Though this was passed off as another “safety test”, the release of so much radiation into the atmosphere possibly violated the Limited Test Ban Treaty of 1963, that banned the airborne explosion of atomic bombs. But scientists now knew what they needed. If the rocket engine exploded on the launch pad – anyone standing within 100 feet would die almost immediately from radiation exposure. Anyone within 400 feet would receive a serious does of radiation that could be fatal, and anyone within 1000 feet would be overexposed to radiation. Five months later, the real thing took place when another design of the nuclear rocket engine, code named Phoebus, did overheat. It exploded when one of the liquid hydrogen cooling tanks accidentally ran dry. In the development of America’s first stealth aircraft, dubbed “Oxcart”, all manner of new technology was created at Area 51 to make the aircraft invisible to radar, or at least as small a radar image as could be achieved. Materials that would absorb radar, space age design and electronic counter measures were all employed. Yet when President Kennedy gave Oxcart it’s mission to fly surveillance over Cuba to look for nuclear missiles being secretly installed there by the Soviet Union, the aircraft was still not quite ready. Researchers and scientists redoubled their efforts, but it was decided that Oxcart was still not stealthy enough. Some other way had to be found to make it all but invisible to enemy radar. Project Kemper-Lacroix was one possible solution. At Area 51, scientists came up with the idea of attaching two giant electron guns, one on either side of the aircraft. The guns would shoot out a 25-foot wide ion cloud of highly charged particles in front of the aircraft (an aircraft which was already moving at speeds above Mach 3). The ion gas cloud would further absorb enemy radar waves coming up from the ground, providing the plane with more stealth. Testing on scale models of the Oxcart aircraft showed the theory would work. Testing the electron beam guns on the full scale Oxcart aircraft, the researchers soon discovered the radiation given off by the guns would kill the pilot. So more engineers worked on developing an x-ray shield the pilots could wear to protect them from the radiation. But the first test pilot to wear the shield said it was too cumbersome to allow the pilots to fly the aircraft. Project Kemper-Lacroix was abandoned. Perhaps the most wrong-headed, ill-advised and dangerous of all the atmospheric nuclear explosions by the US, Projects Teak and Orange were right out of a science fiction story about mad scientists and their crazy experiments leading to the destruction of the planet. Teak and Orange were two massive, 3.8 megaton nuclear devices which would be detonated in the Earths upper atmosphere over the Johnston Atoll, 750 miles west of Hawaii. Teak was exploded at 50 miles and Orange was exploded at 28 miles in the upper atmosphere. The purpose of these tests was to give the US a measuring stick to use so as to determine if the Soviet Union did the same thing (exploded a nuclear device high in the Earths atmosphere). As if such an explosion would be difficult to detect? It seems mad now, looking back, that such tests were green-lighted, but that was the mood of the Cold War in the 1950’s and 1960’s. Test first, ask questions later. How obvious is it to explode a 3.8 megaton nuclear device 28-50 miles up? The fireballs produced burned the retinas of any living thing within a 225 mile radius of the blast. Anything that had been looking at the sky when the blast occurred, without protective goggles was blinded. This included hundreds of monkeys and rabbits flown in aircraft nearby. The animals had their heads locked into devices that forced them to look at the blast. From Guam to Wake Island to Maui, the blue sky turned red, white and gray, creating an aura over a 2,100 mile section of the meridian. Radio communication throughout a huge part of the Pacific went dead. One of the weapons test engineers stated it chillingly – “we almost blew a hole in the ozone layer”. In fact, prior to the explosions scientists had warned that it would be possible to blast a hole in the Earths protective ozone layer, but Teak and Orange went ahead regardless. Not to be outdone, even higher high-altitude nuclear tests were conducted, these under Operation Argus. 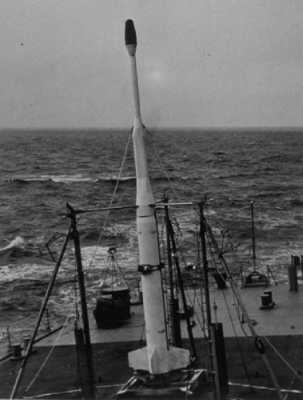 Nuclear tipped missiles were fired from ships for the first time as part of Argus. On August 27, 30 and September 6, 1950, nuclear warheads were shot into space by X-17 rockets from the deck of a US warship anchored off South Africa. These missiles went 300 miles out into space. The reason for these nuclear tests in outer space? One scientist theorized that exploding nuclear bombs in the Earths magnetic field (but above the Earth’s atmosphere) could create an electronic pulse that would render incoming Russian ICBM’s inoperative. Though a magnetic pulse was created by the nuclear explosions, the pulse was not large enough to have any affect on the ICBM’s. The project was another dangerous, and ultimately futile, experiment. I included this as a bonus, though if true, it would easily be #1 on any list. Is it true? You decide. 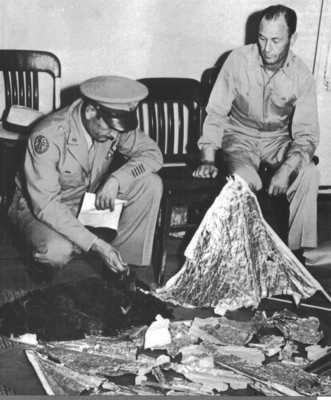 In July 1947, the US military and Army intelligence recovered something that crashed at Roswell, New Mexico. The initial report was it was a crashed flying saucer and the bodies that were recovered were alien. The military quickly changed this story to it being a weather balloon, and so began the mystery of what really happened at Roswell, and the most famous UFO incident in American history. The author of “Area 51” postulates that it was what was really recovered at Roswell that led to the creation of Area 51, in 1951. Something so stunning that an entire secret area had to be established for it to be studied. Immediately after the crash, the recovered material and bodies were sent to Wright Field (later called Wright-Patterson Air Force Base) in Ohio. The Atomic Energy Commission, under the direction of Vannevar Bush, then took over, created Area 51 and moved it all to Area 51, in Nevada. According to the author, what the US really recovered at Roswell was not a spacecraft with aliens from outer space, but a Soviet aircraft with unknown and mysterious flying capabilities. The US knew the crashed aircraft was of Soviet, and not other-worldly, design because Russian language lettering had been found on the crashed remains. The aircraft had capabilities no one in Area 51, or anyone else, had ever seen. The aircraft could both hover and fly. No US technology at the time could do such a thing. Vannevar Bush ordered six selected engineers, working in total secrecy, to reverse engineer it and figure out how it worked. The project would be so secret, it would remain black forever, it would never be known outside a mere handful of people, such as Bush. The operation would have no name, it would simply go by a letter-number designation, S-4 or Sigma-Four. But there was more…….. The engineers also had to reverse engineer the bodies recovered from the crash scene. Not alien bodies, human bodies. But human bodies like none ever seen – mutated, surgically altered children. Two of the child-size aviators were still “alive”, but not conscious, in a comatose state. They were kept alive in life-support chambers at Area 51, so they could be studied. They were tiny even for children, and had very large heads compared to the rest of their bodies. They were estimated to be thirteen years old, and also had oversized eyes. The engineers who would experiment on these aviators were told it was possible Nazi doctor Joseph Mengele had operated on them (in exchange for a promise by Stalin to get his own laboratory in Russia, a promise Stalin did not keep) before he escaped Europe for South America. But why would the Soviet Union send their cutting edge technology aircraft, with their biologically/surgically modified alien looking tiny human children, to the US? The author states the engineers were told Stalin believed the craft would land, and the children-aliens would emerge and send the US into a panic far worse than had occurred only a decade earlier, with the fake alien attack during the radio broadcast of “War of the Worlds”. Stalin believed the US populace would panic at the sight of “real aliens”. Of all the strange, weird, and mysterious activities we know of, this, if true, would have to qualify as the strangest and most mysterious. Did it happen? You be the judge.